[Step 1] What do we want? Headphones: this category has a lot of potential in terms of bang for the buck. Good headphones don’t have to cost an arm and a leg! As with every product, the goal here is to understand the purpose of the headphones we’re developing. After all, we can’t have everything, but if we pick our compromises correctly we’ll end up with an amazing product! With headphones, it’s useful to imagine three priorities competing in the corners of a triangle. On the corners of this triangle are portability, sound quality and affordability. Moving closer to any of those three corners, move you farther away from the other two. Each use case has its own spot on the surface of that triangle that represents the compromise that product makes! If you prioritize sound quality you end up in the audiophile world with large headphones at a very premium price point. On the other hand, if cost is the number one priority you have to make sacrifices like a wired connection and lower sound quality or ergonomics. Let’s cover some of the types of headphones and features out there so that we’ve got our terminology straight! Over-ear headphones go around your ears and typically offer the most comfort and best sound quality. The trade-off here is their portability: better acoustics require larger components. This category makes sense if you are shopping for sound quality. Over-ear headphones can be further divided into open and closed back models. Open back headphones are mainly used at home or an environment in which you don’t need to worry about disturbing others with your music, or being disturbed. In open back models, music can be heard by you as well as others, and you can hear things happening around you. Close back headphones on the other hand isolate you and your music from the external world. On-ear headphones rest on top of the ear, and are a compromise of the three priorities. Sound quality, portability, noise isolation and price are all just about average. Though they don’t shine in any particular area, their jack-of-all-trades nature has made them a popular choice. In-ear headphones can sound as well as over-ear but while being substantially more portable. The key trade-off here is the comfort for some people. As some of the best sounding headphones go pretty deep into the ear-canal and products like AirPods that rely on being shaped to the ear are not a one-size-fits-all solution. Bone-conducting headphones are a new breed that conduct sound through bone. The big advantage is the possibility to be fully aware of your surroundings when for example biking or doing outdoor sport, as they do not cover or plug the ears. The main drawback is sound quality, and of course the lack of noise isolation can be both a blessing and a curse. There is a big debate about the sound quality that can be attained with wireless solutions, and many audiophiles want nothing to do with any headphones that don’t have a wire coming out of them. That said, we believe that with current technology, wireless headphones can provide as good a sound quality as all but the most high-end wired ones. Wireless headphones bring a freedom of mobility as your ears are not tied to a device, but bring other downsides such as relying on a battery to power them. Many wireless headphones can also be plugged in directly and used as wired ones. Active noise canceling (ANC) headphones are ideal for people who use their headphones in a crowded office, on a commute, or on a plane. They help to isolate sounds around you, not just by blocking it out but by actively sensing what’s out there and generating counter-noise. This allows you to focus, relax or enjoy your favorite music without blasting your sound at full to drown out your noisy surroundings. Gaming is a use case that brings up another challenge. The focus here shifts to being able to clearly distinguish the source of a sound. Hearing from what angle you’re being shot at, or from which direction your opponent is trying to sneak up on you can give you the edge that you need to win the game. Sports isn’t so much a headphone term, as it is a use case offering unique challenges in headphone design: even if you’re not out jogging in the rain, liquid resistance is a requirement to keep sweat from ruining your precious headphones. And with all the movement, the chance of your headphones falling or bumping into something increase the need for drop protection. At the same time, they can’t get in the way as you get your workout, so they can’t be heavy or bulky, either. It’s not hard to see why you’re paying a premium for headphones that do all that and still provide great sound on top! In audiophile terms, sound quality is the ability to reproduce music as close to the original as possible. For many people however, sound quality is the ability to produce a full and rich sound. This is a lot like monitors: someone editing a photo may desire each color to be accurately depicted on the screen, whereas someone watching a movie may just want the explosions to pop for maximum immersion. Neither side of the debate is right or wrong, but somewhere along the way we’ll have to decide which definition of audio quality we’ll be aiming for. That’s quite a lot of background information, but we think it’s important that we all know what we’re talking about when we’re trying to create something together. Now, let’s vote and discuss! What type of headphones best fits your needs? Where do you most often use your headphones? You can pick up to three options. Please complete the following sentences regarding your dream Eve headphones! My dream headphones are of the __________ type. They are very __________ and __________. I mostly use them for __________ but also to __________. The thing I love about them most is that __________. I paid a fair price for these headphones: only __________!. That’s all our questions for now. We’re looking forward to seeing all your feedback! What's Next? Survey results are in! My headphones are of the in ear (that go to ear canal) type. They sound great and last long. I mostly use them for flights and gym . The thing I love about them most is that they sound great and I can make phone calls with crystal clear voice quality. I paid a fair price for these headphones: only 99$ while getting quality of 499$ UE or Koss headphones! My headphones are of the true wireless in-ear type (AirPods type). They are very light and with at least 6 hour battery life (additional 20 hours with the containing box). I mostly use them for commuting but also to make phone call. The thing I love about them most is that comfortable wearing and active noise cancellation. I paid a fair price for these headphones: only $149! My headphones are of the closed-backed, over-ear type. They are very comfortable and sound great. I mostly use them for gaming but also to make conference calls. The thing I love about them most is that they are wireless so I can pace around the house when I talk. I paid a fair price for these headphones: only € 180!. My headphones are of the in-ear (but not in the ear canal) type. They are very comfortable and sound great. I mostly use them for moving around the city but also to add some music to my workout. The thing I love about them most is that they stay in place no matter how I move. I paid a fair price for these headphones: only € 100!. My headphones are of the closed-back, over-ear type. They are very comfortable. I mostly use them for work. The two things I love about them most is that they have exceptional active noise cancelling and noise cancelling mics. I paid a fair price for these headphones: only $159! My headphones are of the in-ear type. They are lightweight and have good sound. I mostly use them to keep my ears company when I’m out and about, but also indoors. The thing I love about them most is that they are good-sounding true wireless buds. I paid a fair price for these headphones: only $149!. My headphones are of the over-ear type. They are very comfortable and light. I mostly use them for listening to music in a public setting (coffee shop, office, etc.) but also to game. The thing I love about them most is that the sound is of exceptional quality. I paid a fair price for these headphones: only $150! My headphones are of the over-ear type, with a light foam enclosure for ventilation. They are very light and sturdy. I mostly use them for listening to high quality music but also to record podcasts. I can also reply to calls with the inbuilt mic. The cable also has a mic and controls playback and calls and can be used on a PC, Mac, Android phone, iPhone and more. I paid a fair price for these headphones: only 100€!. My headphones are of the in ear (that go to ear canal) type. They sound great and have good battery life. I mostly use them for fitness but also on the train. The thing I love about them most is that they are very lightweight. I paid a fair price for these headphones: only 99€!. My headphones are of the close back, over ear type. They are very comfortable and has ANC. I mostly use them for commutes but also to help me sleep on flights. The thing I love about them most is that it sound fantastic for EDMs. I paid a large price for these headphones, 420usd!. My headphones are of the over-ear type. They are very comfortable and have great variable noise cancelling I mostly use them for listening to music of several genres but also to occasionally use with my phone so the microphone is useful The thing I love about them most is that they sound excellent and I can use them wired or wirelessly. I paid a fair price for these headphones: only £250!. I have pairs of wired and wireless (Bluetooth) in-ear headphones and am happy with both although the BT dropouts on the wireless phones are annoying (see Wired/Wireless). 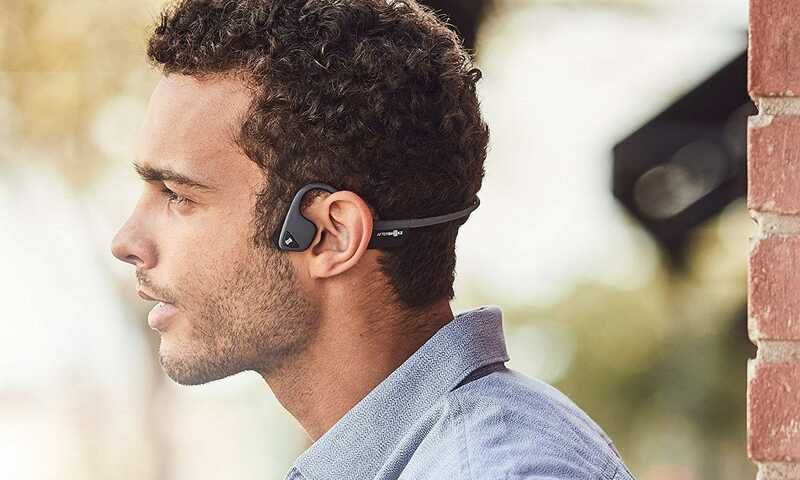 I would be very interested in a high quality, over-the-ear product but may well also be up for replacing my wireless buds if the Eve product didn’t suffer from any dropout. I might even consider replacing my wired buds as although they’re very good quality they’re getting a bit old now and I’m not sure how much longer they’ll last. One thing I’ve not seen mentioned is that I think it’s important to get a good quality case with any phones. I know it’s pretty subjective but the number one priority for any headphones must be sound quality. Personally, I listen to a wide range of music so want a fairly flat response over the dynamic range - certainly no booming bass. Apart from, possibly, in the home for those who live alone headphones which leak sound out are an abomination and should be illegal. Otherwise I have no preference! I don’t know whether it’s just me but I have NEVER used a Bluetooth device which doesn’t suffer dropouts (including my V keyboard even when it’s close to the V) so wired is good. That said, being able to use headphones wirelessly would be good - maybe BT 5 is better. If we end up going for over-the-ear headphones I suggest they be capable of being used in both wired and wireless modes. Great but should be able to be varied and/or turned off (cf Surface Headphones) - my wife is never happy when I don’t hear her, even if I have headphones on! Nice but only if it (a) doesn’t compromise sound quality. My headphones are of the over-ear closed back type. They are very comfortable and sound great. I mostly use them for music when on the bus but also to play games on my pc. The thing I love about them most is that they look cool, sound amazing, and have an in-line mic. I paid a fair price for these headphones: only $250! PS: maybe you could call it “Eve S” as in “Eve Sound” you know? I dunno just a random idea. Very similar to my specifications, I like the way you think! My headphones are of the over-ear type. They are very comfortable and light. I mostly use them for music but also to listen to podcasts. The thing I love about them most is that they isolate me from noisy environments. I paid a fair (?) price for these headphones: only (?) $350!. For me the headphones must have ALL the following characteristics: excellent ANC, awesome comfort (i.e. hours), and excellent sound quality (i.e. great treble, mid-range and bass). If any of these qualities are missing I not not interested. My headphones are of the closed over ear type. They are very comfortable and discrete. I mostly use them for gaming but also to listen to music. The thing I love about them most is that thy can be wired or wireless and keep the dreat sound quality and portability of both worlds. I paid a fair price for these headphones: only $125 USD!. My headphones are the over ears one’s. Good quality music, affordable price but man are they hot (I live in a equatorial high temperature high humidity climate area). As a result the foam pads have a one year live span. So I opted for a on ear type. My headphones are of the over ear type. They are very comfortable and high quality. I mostly use them for isolating myself from the office noise when I’m developing but also to screen out the washing machine when I’m watching a movie in the living room. The thing I love about them most is that they are very comfortable and the noise cancelling is very good. I paid a fair price for these headphones: only €160! For the curious: it’s the Bose QuietComfort QC25. My headphones are of the in ear (into canal) type. They are very comfortable and light. I mostly use them for music while working but also sometimes while exercising. The thing I love about them most is that they are affordable. I paid a fair price for these headphones: only 20 USD!. *My headphones are of the Over-ear, closed back, wireless type. They sound great, have great battery life and is made of durable+premium material. I mostly use them for travel and commute but also at work. The thing I love about them most is that they have one of the best sound quality, awesome ANC and provide crystal clear call quality. I paid a fair price for these headphones: only US199 for what is selling at USD400 right now!.